Producer Jerry Bruckheimer is optimistic about Bad Boys 3 since the project just received a new writer. 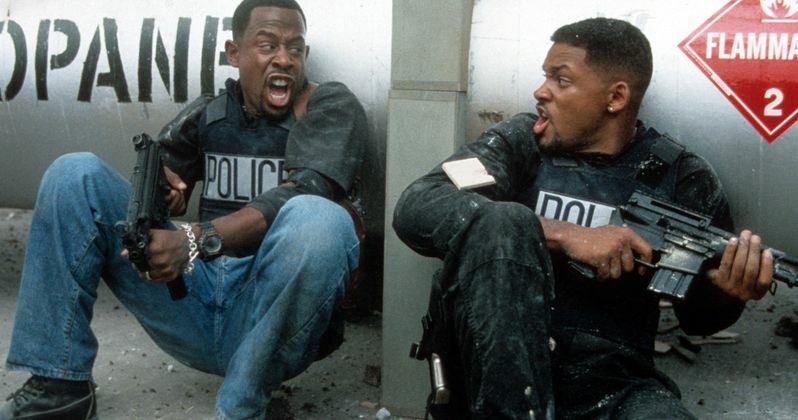 Titled Bad Boys for Life, te sequel has been talked about since the release of the first sequel 14 years ago. The project has been in varying stages of development, with Will Smith recently stating that it was "very, very, very close." But the movie recently lost its release date and its director, leading many, including co-star Martin Lawrence, to believe the movie is dead and not ever going to happen. Now, Jerry Bruckheimer is out claiming that there is still life left in the project. In an interview with Yahoo Movies, the producer stated that a new writer has lifted his spirits about Bad Boys 3 actually happening. He explains. Now this isn't exactly a confirmation that the movie is on the fast track, it most certainly lets us know that Bad Boys 3 isn't down for the count just yet. A new writer is promising and proves that the studio is putting effort into finally making the movie happen. The news comes after Martin Lawrence was interviewed by EW and said that he thought it was dead. The actor said, "I don't think we're going to get one, not the way everything's turning out. Will is off doing another movie, and I don't think it's going to happen." Jerry Bruckheimer could be just giving lip service and telling fans what they want to hear, but you never know at this point. It's unclear if Lawrence knew about the new writer at the time of his latest interview with EW. Lawrence went on to say, "I'm there, I'm ready right now. If they wanted to do it, I'm ready, but I don't have control of that. That's the studio's decision." Last year, Will Smith has said that making the Bad Boys movies were some of the best times that he's ever had, going as far as to say that he "loves" Lawrence. Smith mentioned a year ago that he and Lawrence saw each other for the first time in a few years, but they hugged and then the actor mentioned that the movie was on. Smith had this to say. "We hugged, and in that moment, we both knew we were making another Bad Boys. We're definitely doing another one." But that was over a year ago and since then, the movie has lost its director and release date. Not exactly a vote of confidence for the project getting started. So, it appears as if Bad Boys 3 isn't dead just yet. Hopefully the new writer is able to pull off what has been impossible for the last 14 years and brings Will Smith and Martin Lawrence together on the big screen again. This is a developing story and more news is expected to drop soon regarding Jerry Bruckheimer's comments on Bad Boys for Life.